Hope's Cafe: SGSG-Nomad Brush for iPad/Tablet Review!! Looking for a great stocking stuffer idea? Do you have a techie or "geek" on your shopping list? How about any kids that like activity during road trips? A budding artist? 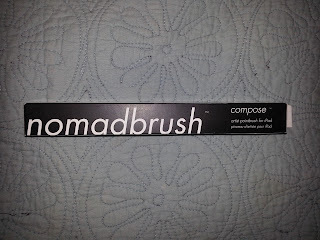 If you answered yes to any of these questions, then I have just the item you're looking for-the Nomad Compose Brush! 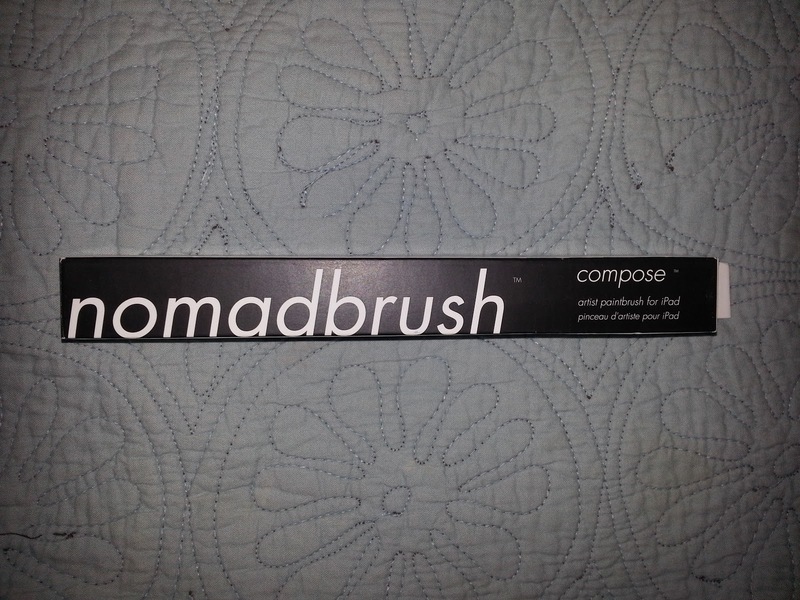 I received a Nomad Compose Dual-Tip Long Brush. This is a really neat idea, and works with iPad (any gen), Nook, Xoom, iPhone, Samsung Galaxy, Android devices, or just about any tablet or touch-screen phone. It's basically a paint brush for your tech device, and can be used with any of your favorite painting apps. 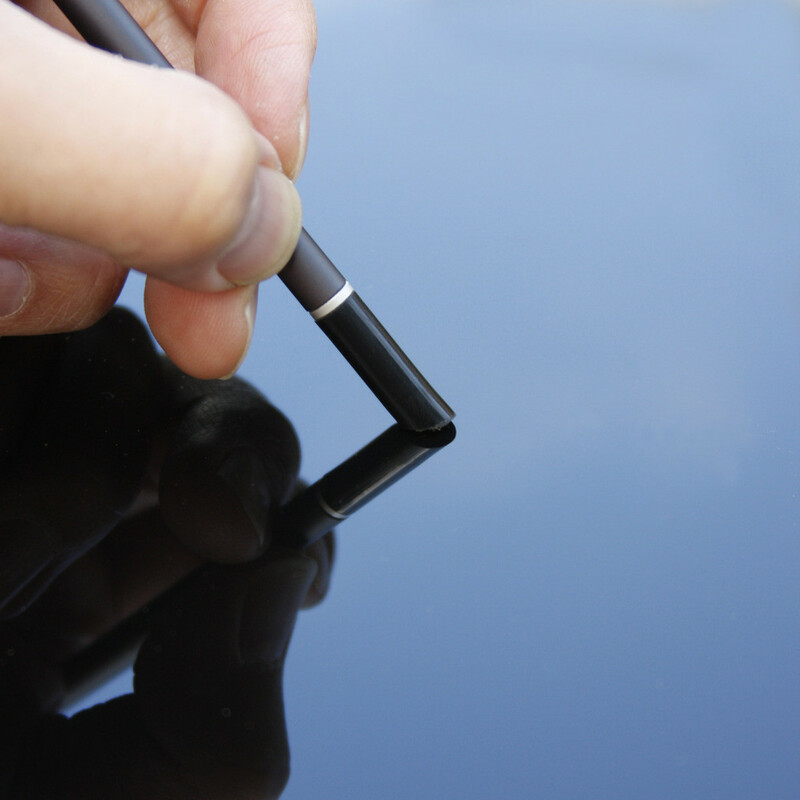 The Dual-Tip brush I received has a"Glide Bevel Tip", which has a stylus that literally glides over the screen. The long tip is 0.7" long, and works just like a real paintbrush. This is amazing, and the perfect tool for keeping the kids busy on car trips! Simply download a painting app, and let the kids paint to their hearts content. I'm personally not very artistic-in fact, I have pretty much no artistic ability whatsoever, whether drawing, painting, etc. However, I do have a couple family members that enjoy both drawing and painting, so this will be perfect for them! "The Nomad Compose - Long Tip is hand-crafted using precision-milled aluminum parts. The brush tip is 0.7" long, and is a blend of natural and synthetic fibers. The new Glide Bevel Tip is 0.05" long, and made of the same brush material allowing a truly friction-free stylus experience. The unique dual-tipped design of the Nomad Compose ensures that you can quickly access the preferred tip for creating on your iPad and other touchscreen devices." 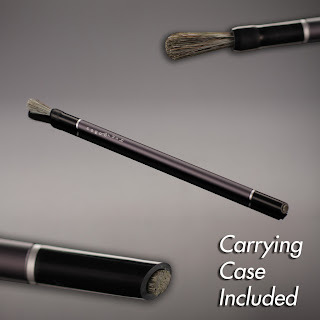 Nomad Brush offers several other varieties of brushes, so check them out and check someone off your shopping list today! Disclaimer: I was not monetarily compensated in any way for this review; I did receive product for the purpose of review. All thoughts and opinions are mine; all quotes taken from the Nomad website. I was not required to post favorably about the product or company. This is great! I have and Ipad and my daughter has a tablet, she would love to use this. She is an artist but never saw a brush for a tablet. That's awesome-my kids would love this!!! thanks for the review-didn't know this was out there. My husband loves drawing programs, and has a wacom tablet for his computer, but this would be perfect for his ipad apps. Great product. This is awesome! 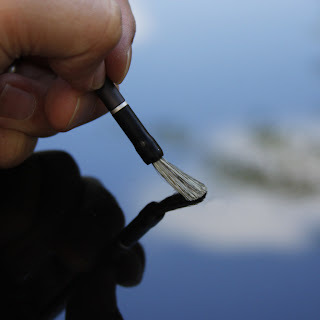 My hubby uses a stylus and he would love the paintbrush tip for his drawings.